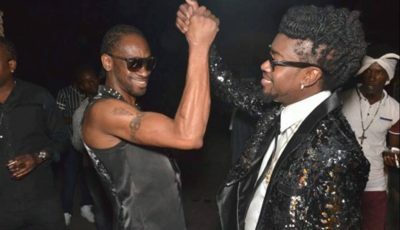 The Baton Rouge rapper has a lot to celebrate this week after he was named the most streamed artists on YouTube in the United States for his sixth straight week. 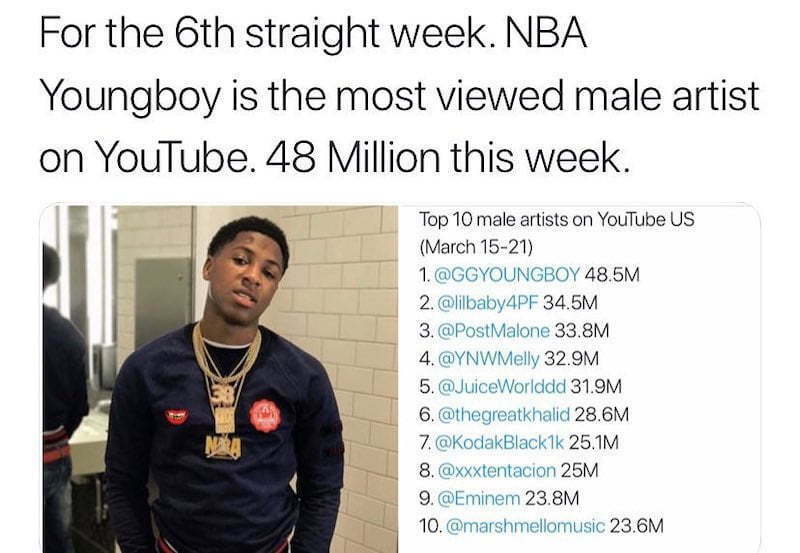 NBA YoungBoy came out on top with 48.5 million views aggregate on his Vevo page. He is leading his competition by a wide margin with Lil Baby coming in second with 34.5 million views. Post Malone gets 33.8 million views, YNW Melly coming in with 32.9 million, and Juice WRLD with 31.9 round out the top 10. Khalid, Kodak Black, XXXTentacion, Eminem, and Marshmello completes the top ten most streamed artists on YouTube USA last week with 28.6 million, 25.1 million, 25 million, 23.8 million, and 23.6 million views respectively. 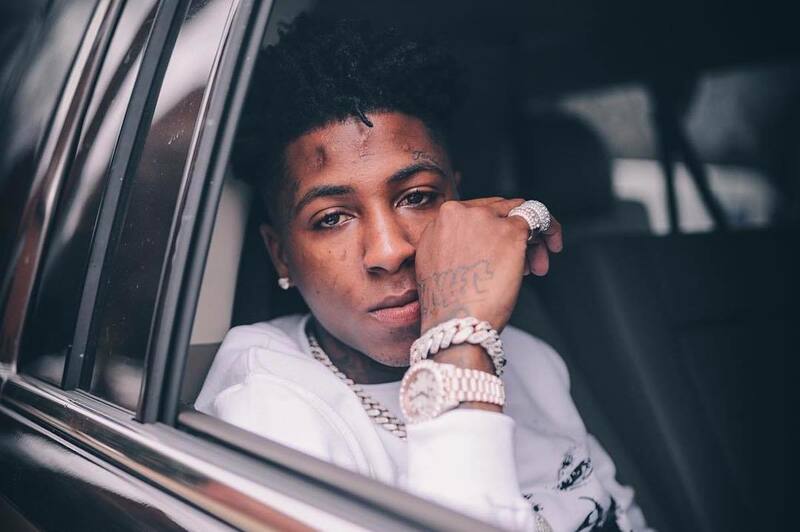 NBA YoungBoy announced last week that he is moving back to his hometown Baton Rouge despite warning from Boosie Badazz that he and other young rappers should move away to avoid extortion and being targeted by criminals. Never Broke Again is one of the hottest young rappers on the scene right now, and his career is poised for even greater things as he puts some of his legal troubles behind him. Perhaps moving back to Baton Rouge will help him rediscover his roots and put out even more dope music. NBA’s music streams are lead by new singles like “Slime Belief,” “Gangsta Fever,” “I Came Through,” and “Kick Yo Door.” The 19-year-old rapper is currently working on his next project, due sometime this year. He is expected to make a big announcement pertaining to new music sometime soon.